Geoff Ogilvy was the unlikely winner of the 2006 US Open, where he would make clutch pars on the final two holes while Jim Furyk, Colin Montgomerie, and Phil Mickelson all faltered. After a chip-in par shot by Oglivy on hole 17, he followed up with a par on the 72nd hole to claim a one-stroke victory. 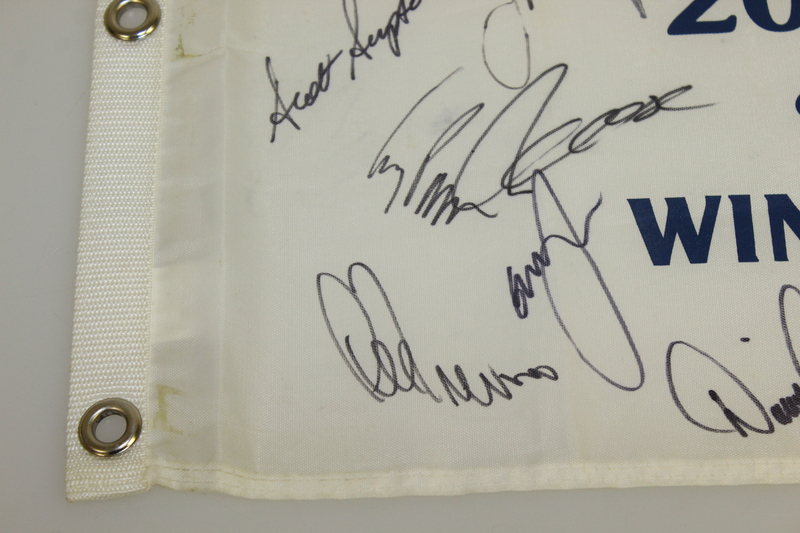 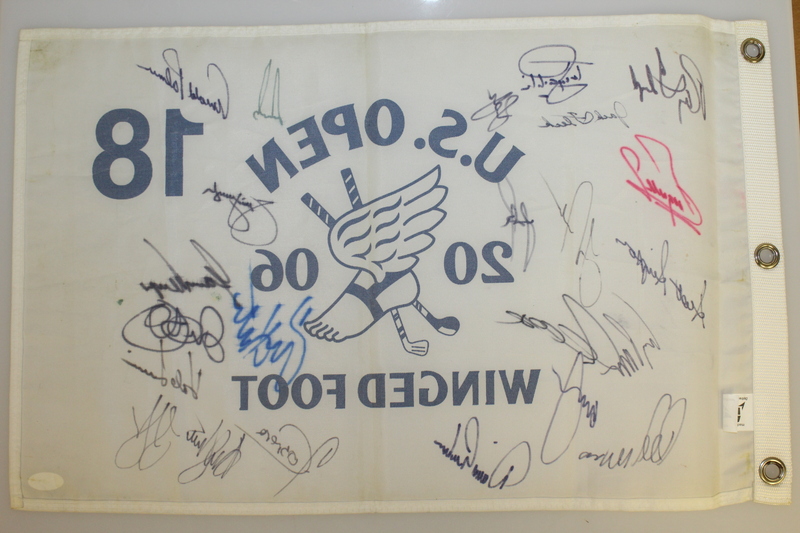 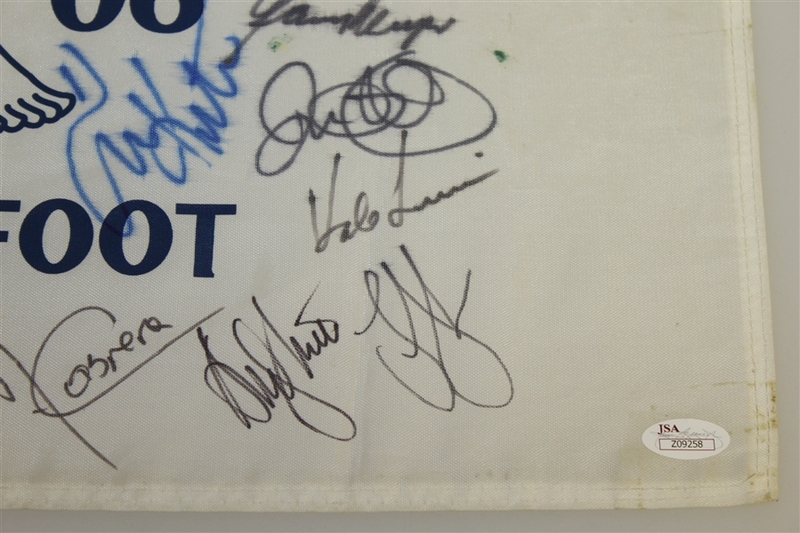 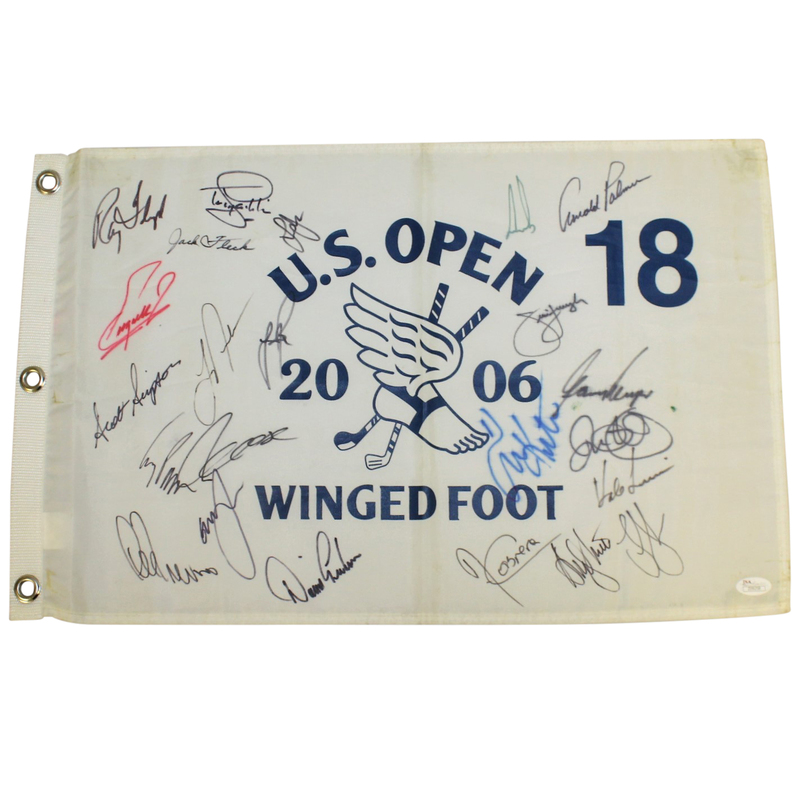 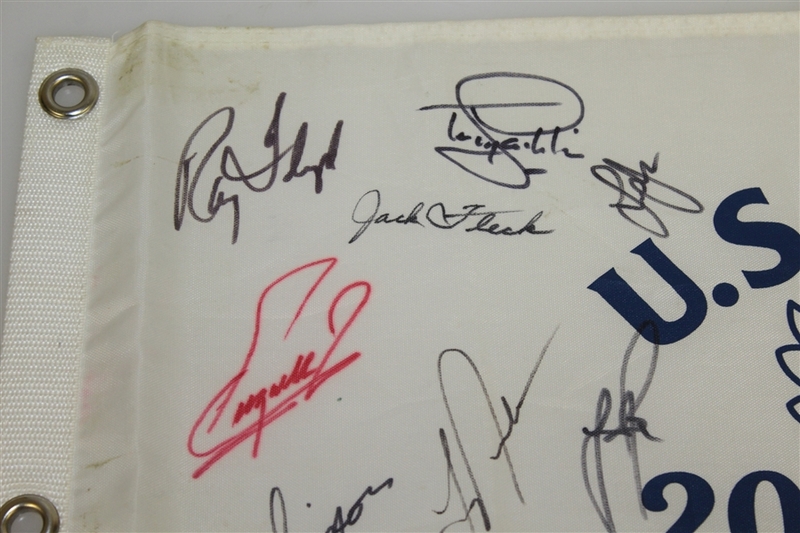 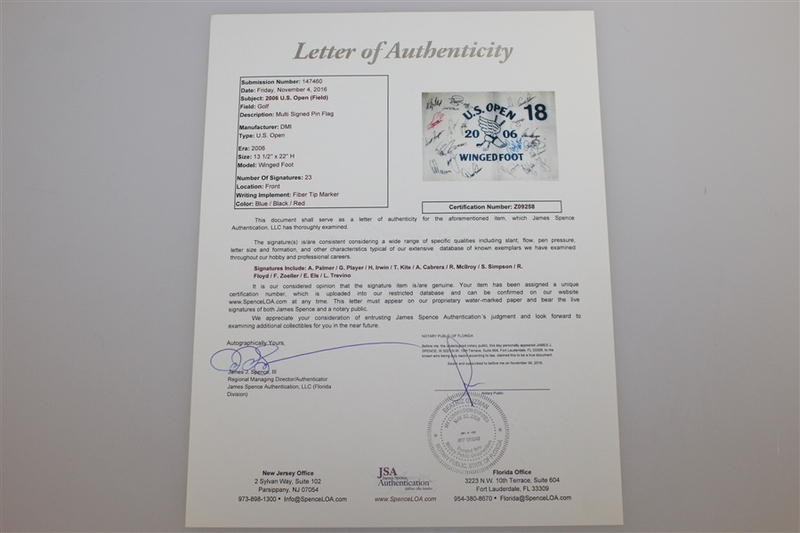 The flag presented is signed by numerous golfers.